The paging file (a.k.a page file, pagefile, swap file) is a file located in C:\pagefile.sys. The Windows OS stores files in RAM cause it is the fastest memory on a PC. 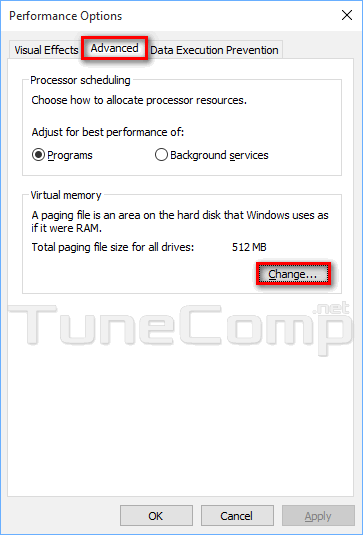 When the RAM becomes full Windows moves a part of the data to paging file. The pagefile is also used to store the data of apps you are not using. It is a widely spread myth that disabling the pagefile improves performance. In fact it is able only to make idling apps open faster. But at the same time you can provoke different apps to crash or generate errors. So, it is not recommended to disable the paging file. You may reduce its size instead. 1. Press Win+Break. The system window would open. 2. 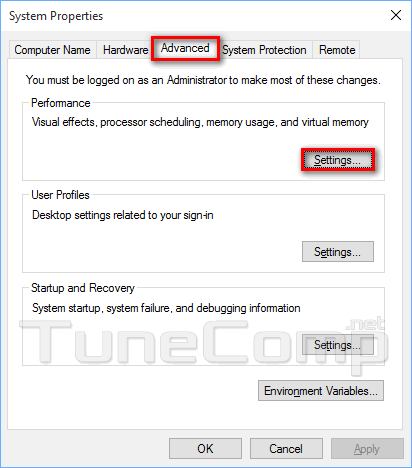 Click on Advanced system settings link. 5. Go to Advanced tab. 7. 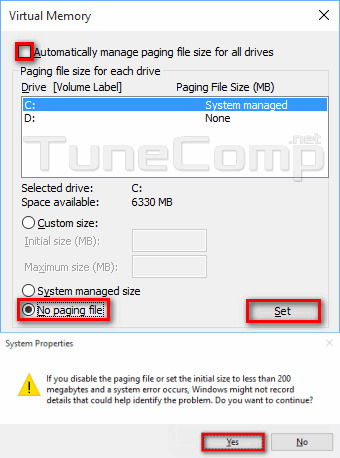 Unset the checkbox Automatically manage paging file size for all drives if it is set. 8. Switch to No paging file. 11. Press OK 3 times in other windows.